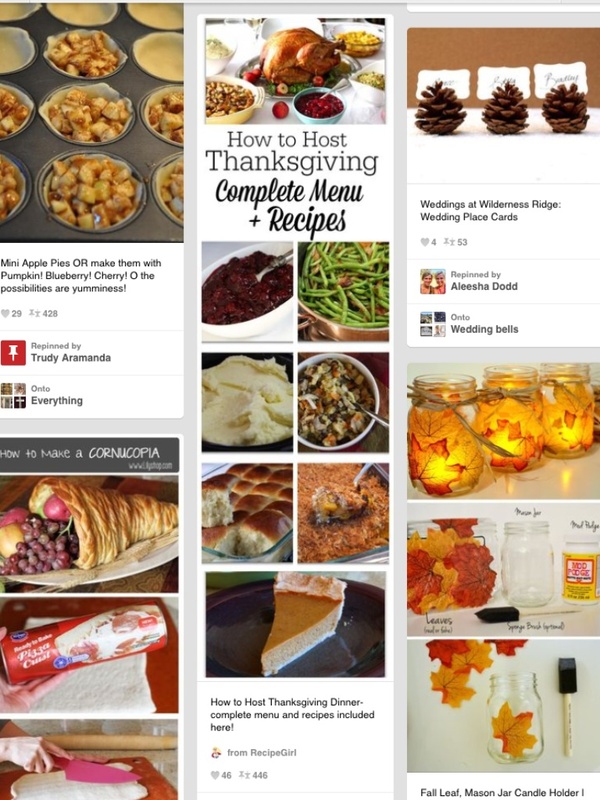 With Thanksgiving swiftly approaching, I’m spending an outrageous amount of time on Pinterest. If you’re unfamiliar with this enormously popular app, google it and have a look. It’s sort’ve a modern-day version of the “Quilting Bee,” harkening back to a time when women used to sit around advising other women on how to run their lives and homes, with efficiency and creativity. Pinterest is like your Mom, both of your Grandmothers and all your Aunts got together and threw a gigantic Family Reunion in Cyberspace. There are recipes, decorating ideas, and tips on what to eat and how to exercise. You can log on to Pinterest if you need to tie a pretty bow on a package, lattice a pie crust, organize your linen cabinet or whip up a vegetable smoothie. Lost for what to wear? You can even click onto the fashion section for a style to emulate. The ideas on things to do with a leftover Mason Jar, is reason alone to get lost on this website. Thanks to Pinterest, the humble Mason jar isn’t just for Vegetables and Moonshine anymore!! 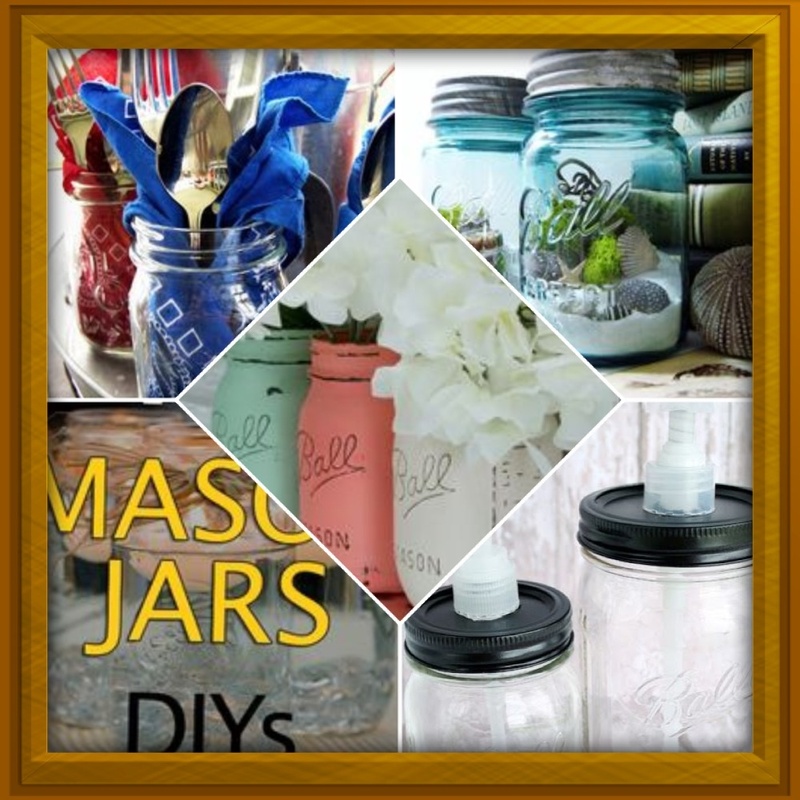 (For the record, I really don’t believe these “pinteresters” have all these empty Mason jars lying around their cozy-country homes; they’re out buying them by the crate-load at Walmart…) Undoubtedly, the “Mason Jar Craze – 2014” has caused the sales of Mason jars to skyrocket, triggering a surge in Mason Jar stock on Wall Street, ensuring a very Merry Mason Christmas this year, for a host of wealthy Jar-Makers and their heirs! My Mom, Doris, was a (p)interesting woman, way back when the Internet was just a twinkle in some Nerd’s eye. She was the End-All/Be-All Arbiter of creativity and pizazz in her considerable sphere of influence. Admittedly, without the help of social media, her range was limited to her friends, offspring and acquaintances, but she was quick with the advice and managed to get her ideas out there, nonetheless. Doris: NEED A QUICK, HEALTHY, ECONOMICAL MEAL? Doris: HATE TO TOSS OUT ALL THOSE GREETING CARDS? 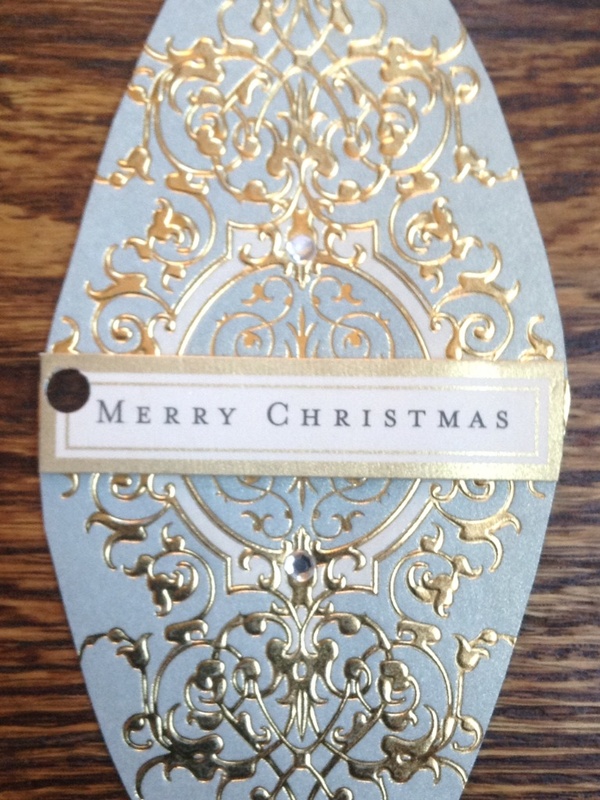 Make your own gift tags out of last year’s Greeting Cards!! Doris: LAST MINUTE SNACK FOR GIRL A SCOUT MEETING? And that’s just the things I readily recall, but certainly not all…. -My friends would come over to our house, before dances, to have my mother tie the bows on backs of their dresses. – She made a Fruit Topiary for a Christmas party out of a styrofoam tree form, covered in foil, long before anyone ever heard of Martha Stewart. Reminiscing about how talented my mother was in the pre-Pinterest era, has left me inspired for Thanksgiving… I now have all the motivation that I need to go spray paint some Mason Jars, to use as candles for my Thanksgiving Tablescape, and assemble that tiresome Cream of Mushroom Green Bean Casserole! I can spend hours on Pinterest, but it might be more fun to spend hours with Doris! She sounds like a fun mother! I’ve been sucked into the mason jar craze myself. I just had to have a dozen of those mason jars with handles to serve beverages for 4th of July. I can just see those millionaires eating Hamburger (Turkey) Helper and drinking from Mason jars on Thanksgiving now! Share your Pinterest Page, missy!